Home › Buffalo Vol. 5, Shirt 15: "Wild Rumpus"
Buffalo Vol. 5, Shirt 15: "Wild Rumpus"
Available EXCLUSIVELY ONLINE through June 3rd, then it's gone! $8 from every shirt sold will be donated to Maksym's Giving Tree. 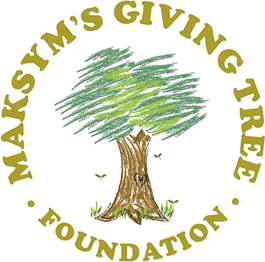 Maksym's Giving Tree Foundation is committed to facilitating acts of kindness and giving throughout the community, as well as raising an awareness about the importance of "being kind" to others. In order to achieve the organization's mission, Maksym's Giving Tree hosts it's annual "Run For Kindness 5K" in Delaware Park. There, funds are raised so that adaptive bikes can be granted to children with special needs, and also so that they can implement a nationally known, year round, character-based educational program called Think Kindness throughout schools in WNY. The program is centered around the value of kindness. So far, Maksym's Giving Tree Foundation has granted four different adaptive bikes to children with special needs, and provided three different schools with the Think Kindness program since they have been established in 2015. Learn more at MaksymsGivingTree.org. With over 50 years of experience in the financial services industry, Southtowns Financial Group is prepared to guide you, your business, and your family in all aspects of planning. Their goal at all turns is to increase benefits and money supply, reduce opportunity costs, while managing the eroding factors of wealth. Their recommendations are based on facts rather than opinion and their approach allows them to verify each decision to help ensure your financial success.